IMPORTANT - Think long-term “relationship,” not a “sales transaction” when searching for an advisor. Relationships must be built on trust, communications and mutual respect. Sales Transactions only need a salesperson, a buyer, and product. Niche - Seek out an advisor that has concentrated their talents and skills to build a solid command of federal retirement benefits and the collective needs of federal employees. Locating an advisor who’s niche is working solely with federal employees would be a good start. However, if they don’t have more than 2 or 3 niches, and feds are one of them, they may be able to pass the initial smell test. Note: An advisors focus and interest should be evident on their website. Experience - Look for an advisor with substantial experience. Make sure they have the knowledge and proficiency to help you create an intelligent retirement plan. According to Investopedia, “Up to 90% of all Financial Advisors fail in their careers, and Financial Advisor IQ states only 10% of financial advisors even make it into their 4th year before failing. We believe 10-years of experience is a good rule of thumb for selecting a financial advisor. It might be best to let the newer, less experienced, advisors cut their chops on somebody else’s financial future, not yours. 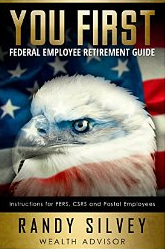 Relevant Knowledge - Federal employees DO NOT have the same retirement system as other Americans. Federal retirement benefits are not just superior to most; they are more complicated as well. When seeking intelligent coaching and guidance, federal employees should understand, the average advisor does NOT know there is a difference between your retirement plan and everyone else’s. This doesn’t mean they are bad advisors, but, it could mean that your retirement may suffer merely because they don’t know what they don’t know. Web searches – Use your favorite search engine to seek out advisors that work with federal employees. Fair warning, this will likely not be fast or easy. It will, however, lead you to websites of “potentially” qualified advisors’. On their website, you will see if they work with federal employees and how prominent the federal workforce is to their business model. If they list no more than 3 niche groups and federal employees are one of them, they should receive a phone call from you. If however, they appear to be casting a wide net, by listing more than 3 groups, move on to the next search result. Well-versed in federal retirement benefits. Experienced (hopefully 10-years or more). Once a suitable advisor candidate is located, you should have a few questions ready before you speak with them. Below are a few sample questions you should be able to get answered on a phone call before you agree to a meeting. Note: If they struggle with any of these questions, it may be smart to take a pass and resume your search. How long have you been working as a financial advisor? (Start off by searching for a goal answer of 10 years or more). Ask them to explain the difference between FERS, CSRS, and CSRS-Offset. A straightforward, knowledgeable answer may show that they have at least a basic idea of how the federal retirement plans differ. What is the SRS and how is it calculated? SRS = Special Retirement Supplement. (For FERS employees) It is calculated by using years of federal service and estimated SSA income benefits at age 62. It is of course, more complicated than this, however, if they can come up with a comparable answer without struggling, they get a passing grade on this question. If the advisor has made it through the hoops of qualifying for a meeting with you, set it up. During this meeting, you should be prepared to go over your situation, your goals, and your needs. Then just sit back and listen to the advisor; do you trust them, are they knowledgeable and could you see yourself in a long-term relationship with them? That has clearly established a business emphasis (niche) on federal employees and their unique needs. That has ample experience as an advisor/planner. That has a thorough understanding of federal retirement income benefits.